On the 15th of May 1951 the BBC broadcast a short lecture by the mathematician Alan Turing under the title Can Computers Think? This was a part of a series of lectures on the emerging science of computing which featured other pioneers of the time, including Douglas Hartree, Max Newman, Freddie Williams and Maurice Wilkes. Together they represented major new projects in computing at the Universities of Cambridge and Manchester. Unfortunately these recordings no longer exist, along with all other recordings of Alan Turing. So I decided to rerecord Turing’s lecture from his original script. 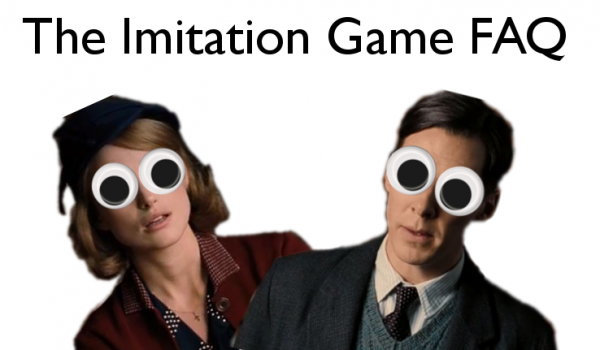 The Imitation Game is the new film starring Sherlock Holmes as Benedict Cumberbatch as Alan Turing, and Keira Knightley as Kate Winslet as Joan Clarke. Together they are two mathematicians in World War II trying to build a bombe. The film will soon be available on DVD, blu-ray, and as an animated GIF set on tumblr. These are the Imitation Game FAQs. The trailer for the highly anticipated new film about mathematician Alan Turing was released this week. Alan Turing was not only a mathematician, but also the father of computer science and World War II code breaker. The trailer itself looks fantastic and has me super excited to see the film when it is released this November. The Imitation Game stars Benedict Cumberbatch as Alan Turing and Keira Knightley as Joan Clarke. Clarke herself was a mathematician, Bletchley Park code breaker and, briefly, Turing’s fiancée. The script featured on Hollywood’s blacklist, a list of the best unproduced screenplays, and tells the story of Turing’s early days at Bletchley Park, his work breaking the infamous German Enigma code, and his relationship with Clarke. An early draft of the script caused concern that it over emphasised Turing and Clarke’s relationship, and was accused of “straightwashing” the story of Turing, who was later arrested and convicted for homosexuality. This is the second in a series of posts about the maths of Star Trek. Part I covered the probability of survival while wearing a red shirt. As you may well know, Star Trek was a science fiction TV show in the late 1960s. It featured futuristic technology and science fiction ideas such as warp drives, transporters, strange new worlds, time travel, and green alien space babes. And the possibility of all these things has, in the past, been discussed by experts, and nerds, in great detail. Especially that last one about green space babes. SPOCK: Even in this corner of the galaxy, Captain, two plus two equals four. Should we even expect much maths to feature on a simple space adventure show? 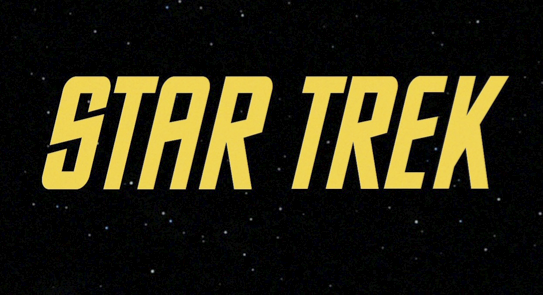 In fact, many interesting mathematical ideas were raised during the show’s short run of 79 episodes, including; the probability we are alone in universe; a paradox that upset 20th century mathematicians as well as 23rd century androids; the mathematics of alien and Earth biology; and the most important question of all – when on a dangerous away mission, does the colour of your shirt really affect your chances of survival?